Gary A. Williams is the sixth son of the late Albert J. Williams, Sr. & Vernell Davis Williams. For the last thirty (30) years, Reverend Dr. Gary A. Williams has served as pastor at large and small churches and has preached in pulpits across the United States, Canada and Mexico. He has appeared on television and radio. 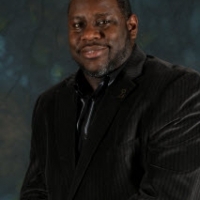 Gary is a member of the Phi Beta Sigma Fraternity, Inc. and has the following educational credentials: Bachelor of Arts degree in Mass Communication/Black Studies from Wayne State University; a Master of Divinity from Princeton Theological Seminary and a Doctor of Ministry Degree from Wesley Theological Seminary. He has also studied at Garret Evangelical Seminary and is a graduate of Harvard summer leadership Institute. He is a former Elder in full connection with the United Methodist Church. 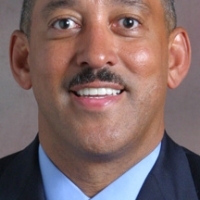 Gary began his professional career as an Exploring Executive in Detroit, MI. He left to pursue business opportunities, accepted the call to ministry, served and semi-retired from Parish Ministry. He returned to Scouting in November of 2014. He hit the ground contributing to membership growth and continues to do so with conviction, compassion, credibility, creativity and credence. He currently serves as Sales Director at the Great Lakes Field Service council. Reverend Dr. Gary A. Williams and Greta are the parents of three (3) Adult sons, Michael, Gary II and Malcolm.